'Whittlesea Community Futures CALD Communities Cluster' is a group of agencies working together with shared commitment and goals. 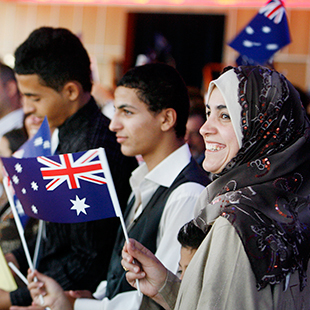 The CALD cluster is one of the four clusters of the broader Whittlesea Community Futures (WCF) partnership, with a focus on culturally and linguistically diverse communities of Whittlesea and mandated to work on social inclusion and multicultural affairs. The relationship of this cluster to the broader partnership and other clusters of WCF, is collaborative. The relationship of this cluster to other existing networks in whittlesea and the region is cooperative. The 'CALD Communities Cluster' works on a strategic level to achieve its objectives. Providing leadership and guidance to the Whittlesea Community Futures Partnership to address issues of CALD Communities in City of Whittlesea. To act as an overarching body for advocacy on issues related to cultural and linguistic diversity, and social inclusion in City of Whittlesea. To be a platform for collaborative planning and for strategic interventions for improvement in inclusive and relevant service systems. Agencies are better informed, and are able to be relevant and respond appropriately in delivering services for a multicultural community. To advocate for resources, both financial and non-financial, to strengthen the service delivery of the sector in City of Whittlesea and leveraging the use of resources through collaborative approaches. To build strategic alliances with existing and new networks to address all the above. Within the WCF framework and strategic directions the cluster is independent in its operation and decision making, in consultation with wider partnership. The cluster lead and on his/her absence WCFs project officer will update the WCFs broad partnership on the views and developments of the cluster. The cluster provides leadership and guidance on CALD Community issues to the WCFs broader partnership. The cluster lead and on his/her absence the WCF project officer will share and inform the discussions of the broader WCFs partnership to the cluster. The cluster will meet every month. The first Thursday of the month is the usual meeting date. The date/time and venue of the up coming meetings will be informed in the previous meetings and will be emailed to all in the contact list. In general, the venue would be the office of the “cluster leads” in this case either at Whittlesea Community Connections, Shop 111 Epping Plaza, Epping or Lalor Learning and Living centre, 47A French Street, Lalor. When necessity arises the meeting may also be held at Council locations or other mutually agreed venues within the City of Whittlesea. The membership of the cluster is open to: agencies working in the field of CALD communities in City of Whittlesea or in the Northern region, service providers having a direct or indirect influence in the lives of CALD communities in City of Whittlesea, City of Whittlesea staff, City of Whittlesea Councilors, Government departments, and agencies planning to operate in City of Whittlesea. Please contact Thiyagerajah Abarajitha (Abi), Whittlesea Community Futures Project Officer of City of Whittlesea for further in formation on Whittlesea Community Futures Partnership and youth cluster. List of networks in Whittlesea working on issues pertaining to CALD communities.